A Darlington-based home care company has been recognised within the Top 25 of all UK Franchise companies. Heritage Healthcare, a home care provider with a head office based in Darlington, has been ranked 23rd in the Elite Franchise 100 league table, beating household names such as CeX and Puddle Ducks. The newly published ranking also puts Heritage Healthcare within the Top 5 home care companies in the UK. 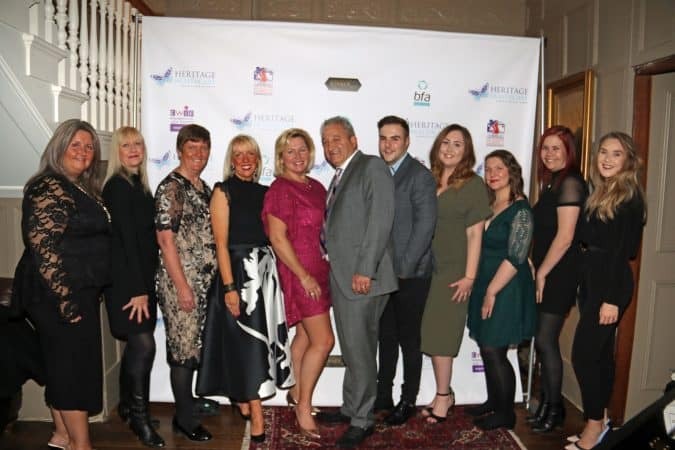 Heritage Healthcare launched in 2008 and, after opening 4 successful home care offices in the North East, CEO Glenn Pickersgill and Directors Sally Pickersgill, Michelle Fenwick QFP and Amanda Jackson decided to franchise the business in order to become a national home care provider. The company recently sold their 20th franchise, Heritage Healthcare Chelmsford, who will join an award-winning network of business owners, all operating under the Heritage Healthcare brand. The Elite Franchise 100 was ranked by an experienced panel of judges with the criteria including growth, network size, support and innovation. Heritage Healthcare Franchising will continue to grow its brand in the New Year, introducing the brand to new locations and communities. To find out more about how you can be part of the Heritage Healthcare Franchising network, visit www.heritagehealthcarefranchising.co.uk or contact the support team today on 01325 370 707.